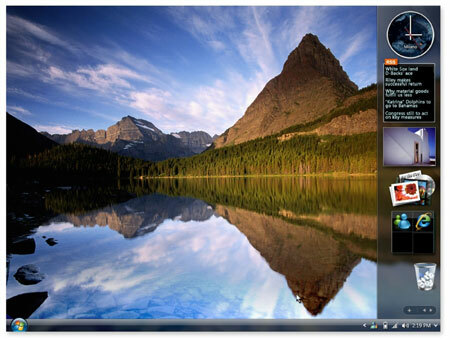 By default, Windows Vista sidebar will only appear when all opened windows are minimized or when you view the desktop. In other word, if you open IE7 then you cannot see the Windows Vista sidebar, because it is underneath the IE7 window. Click on “Start” button, then click on “Control Panel”. Don’t forget to hit the “Apply” button.